Hail the return of Criterion Collection Night! The previous one (#29) was over 3 years ago. Hopefully Ryan and I can make it at least a semi-regular thing again. 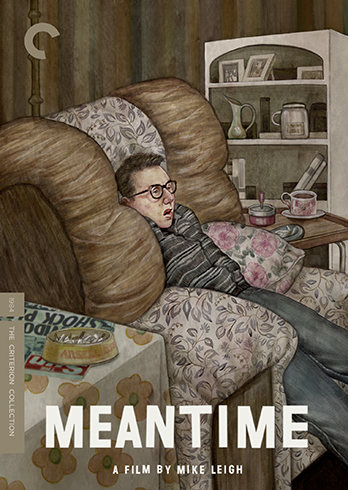 Mike Leigh’s Meantime (1984)is filled with impressively realistic performances, awkward close-ups, and a very unusual piano & horn score by Andrew Dickson (who also composed the excellent score for Leigh's phenomenal Naked (1993)). The film gives us what feels like an incredibly authentic snapshot of a despondent, unemployed, low income British family in the early 80s. Recommended if you enjoy famous pasty actors in early roles, Muppet insults, and deep-thinking window repairmen.